Barb's seventh album is as diverse as she is. This CD is a fantastic collection of some of the best rock songs of the 70's and 80's, as well as several of Barton’s poignant originals. What makes this album unique is the eclectic mix of styles - it is totally Barb. She has been performing for over fifty years surrounded by an incredible musical landscape. So you can imagine the influences she had - Led Zeppelin, Roy Clark, Nancy Wilson, Glen Campbell, Sergovia, Michael Hedges to name a few. It is no wonder this record has a mix of folk, rock, classical, and bluegrass. This album stands out from her past recordings because of its diversity of style. Engineered and co-produced by Bill Bartilson, the CD features talented Michigan musicians Doug Berch, Bill Bartilson, Annie and Rod Capps, Drew Howard, Jeremie Wilson, Kim Holmes, Kathy Morris, Ian LeVine, Martin Vipond, and Flint’s gospel choir Cho’Zen led by Albert Strickland. Barb loves to tell a good story and among her originals you will find an old timey banjo tune about Henry Dean and the Orphan train. A touching song about a young woman who did everything she was supposed to only to find herself wondering who she really is in her later years. And of course, her beautiful ballad “Winter in Michigan” played on an 1800s parlor guitar. A little something for everyone. 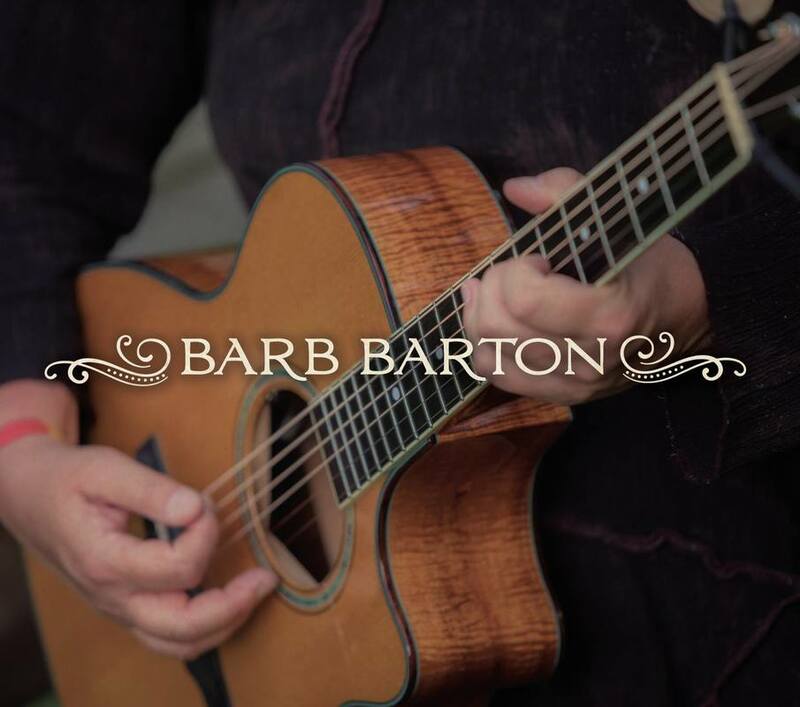 Barb Barton plays guitar with fingers that first touched strings when Barton was five years old. In small or large venues, whether she’s brought one DADDAD-tuned guitar, or four, her audiences love her. Those who don’t want to adopt Barb Barton, want to fix her up with their kids. You like Barton and her award-winning music because you chose her with all your senses. Like you chose your mechanic, your daycare provider, your partner. Her music is personal. Barton’s music comes from the nameless place that connects brain and heart. As a biologist, she might tell you the location does not exist. As a musician/songwriter, she knows right where it lives. And her music lands precisely on the X at the sweet spot. Think ear reiki. Close your eyes, imagine a soul massage. Picture a Lake Superior mirage. Drench your brain. Music your heart. Count your senses. You sure you only have five? Now you’ve got Barton’s music.